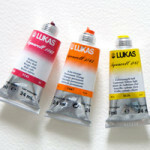 We Dug Deep and Found What You Really Think About LUKAS CRYL Studio Acrylics! 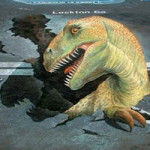 For today’s Whats the Buzz, we’re looking at one of our most popular acrylic paints. 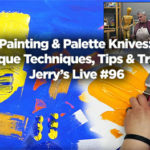 Now the qualities of a good acrylic paint are high pigment levels, a wide choice of colors and colors that can keep their color even when they’re diluted. That’s how an artist would describe an “artist quality” acrylic. The acrylic we’re talking about today has all of these qualities, but at a student grade acrylic paint price. 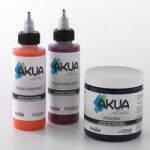 We’re talking about>LUKAS CRYL Studio Acrylics! There are some pretty consistent themes in the reviews above. Fans of the paint love this paint’s value for the price, size of the tubes and bottles to cover large areas, and the paints smoothness, glossiness and overall character. If you’re considering trying out painting for the first time or taking a class, there’s a fair chance you’ll be using acrylics; but before you run out to the stores to find some lame hobby paint just because you’re a beginner and its cheap, reconsider and try LUKAS CRYL Studio. Like ab from Texas says above, its a “Great bang for your buck.” Sold exclusively at Jerry’s Artarama. Finally, keep in mind, that it’s not only the paint that contributes to a great painting. Brushes are also important. 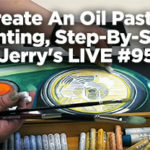 The Pro Stroke Powercryl Utlimate Acrylic Brushes handle acrylic paint like no other. They can lay down “confident strokes that forever retain the mark of the brush.” And for cleaning, don’t forget about the SoHo Artist Sudio Wipes. Nothing cleans messy paint faster than these non-toxic and biodegradable cleaning wipes. And now, exclusively at Jerry’s you can find both Pro Stroke Powercryl brushes and SoHo Studio wipes together for a terrific value for your classroom or business! For more Whats the Buzz, be sure to check out our user reviews on SoHo Artist Studio Wipes and Pro Stroke Powercryl Ultimate Acrylic Brushes. And remember, we love to hear what you have to say, so if you’ve used LUKAS CRYL Studio Acrylics, let us know what you think in the comments below!